The World Federation of Exchanges (WFE) has formed a new sustainability working group at its Working Committee meeting in Mumbai last week. The new Sustainability Working Group is comprised of representatives from a diverse array of global stock exchanges with a mandate to build consensus on the purpose, practicality, and materiality of Environmental, Social, and Governance (ESG) data. Stock exchanges increasingly feel the responsibility to promote sustainable business practices among their stakeholders. The WFE and its 60 member exchanges have long engaged the investment and regulatory community on the efficacy of ESG disclosures in this effort, as part of its overall commitment to creating transparency and fairness in the capital markets. This new working group will continue that mission, undertake original research, publicize its findings, promote the debate over ESG issues among the members of WFE and make recommendations to the member exchanges. "We are very pleased with the formation of the Sustainability Working Group. 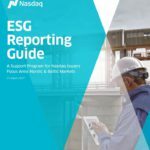 The overwhelming interest among our members for ESG issues is a good indication for constructive future collaboration in this group, which will transcend competitors and regions in order to tackle key issues and promote best practices." said Ravi Narain, Chairman of the Working Committee. The group will determine its own leadership at its first meeting. The Chairmanship will be rotated on a regular basis. The Sustainability Working Group was discussed and its Terms of Reference were approved by the WFE during a meeting in Mumbai on March 20. The Global Cyber Security Group that was recently initiated also received an overwhelming approval of its Terms of Reference, including additional interest from prospective members. The WFE Working Committee provides strategic oversight to these groups and reserves part of its agenda during appropriate meetings to discuss the business and recommendations of each one. The World Federation of Exchanges is the trade association for the operators of regulated financial exchanges. With 60 members from around the globe, the WFE develops and promotes standards in markets, supporting reform in the regulation of OTC derivatives markets, international cooperation and coordination among regulators. WFE exchanges are home to more than 45,000 listed companies.